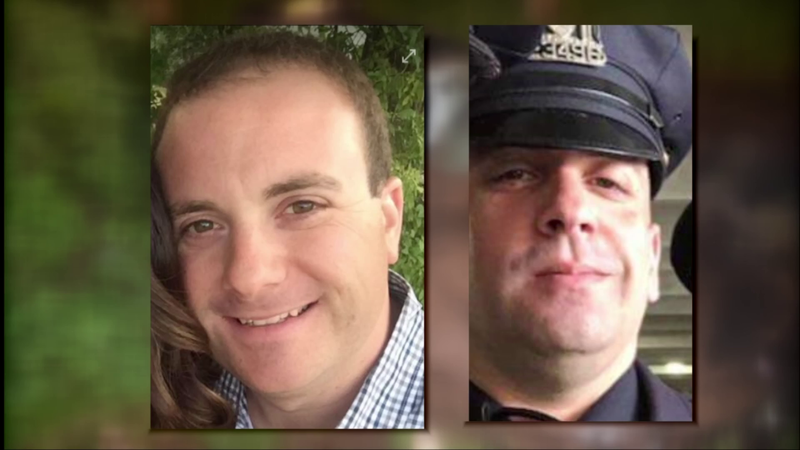 NEW YORK -- A wedding day celebration ended in tragedy Sunday. Two NYPD officers, one of whom was a groom celebrating his wedding day, were killed when their rental Maserati left the road, police said. It happened in the town of Shandaken in Ulster County Sunday at 11:23 p.m., CBS New York reports. Michael Colangelo, 31, had just gotten married. He was from Huntington Station and had been with the NYPD for 10 years. He was assigned to the Emergency Services Unit K-9 squad. His neighbors on Long Island were stunned by the news. "How could you not feel bad? His life was just getting started," Jimmy DeAngeli said. New York State Police said just before 11:30 p.m. Sunday, Colangelo had just left a reception at Full Moon Resort and got into the Maserati with John Martinez, 39, who also worked for the NYPD, and another friend. The car was winding around Oliveria Road when it veered off the road, hit a tree, and flipped over before landing on its roof. Gregory Zaff heard the crash from his home nearby and rushed over to find the crushed car and one passenger trapped inside. "The father from one of the deceased, he was screaming so bad and banging on a car," Zaff said. "It was unbelievable and lasted for minutes, the screaming." Gallagher said there was a "violent impact" and rollover, "so the speed was probably excesive for that roadway." The limit on the road of the crash is 40 mph. "Our entire city is keeping the families and loved ones of Officer John Martinez and Officer Michael Colangelo in our prayers," Mayor Bill de Blasio Tweeted. Colangelo's neighbors are mourning the loss of the NYPD veteran. "He just got the dog trained for the job and the two of them working together and everything he had to look forward to, but we'll miss him," neighbor Chuck Weindorf said. Outside the Hauppauge home of Martinez, fellow officers gathered to show support for his family. The 16-year veteran worked at the 84th Precinct in Brooklyn. "Great guy, that's all they've been seeing," NYPD Chaplain Rev. Michael Lopez said. "Great and outstanding guy and they loved him here." Investigators are waiting for the surviving passenger's condition to improve to get a clearer picture of what happened. They're also waiting for the return of the toxicology report to see if alcohol was involved.